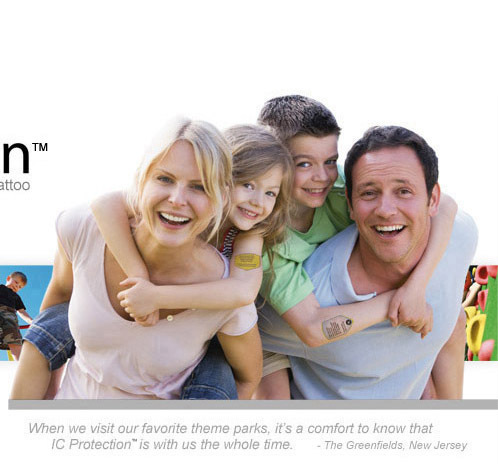 The idea for IC Protection’s™ Temporary Safety ID Tattoos was born back in May of 2004, when my co-inventor filed for a Patent for "A Method and Apparatus for Notification of Guardians of Location of Lost Persons." I approached my co-inventor, Mr. Dominguez, back in 2006, after I had an experience at Disney World in Orlando with my wife and her family. My wife Amy and I had our first child, Sofia, in her baby carriage. As I looked around at all the children, including my niece & nephew, Danielle and Scott, and, seeing how crowded it was, fear overcame me. What would happen if we lost one of them? Will they forget what to do out of fear? With Scott only being 3 ½ at the time, will he even remember his emergency information? What was I going to do the next time we went to Disney World when my own daughter Sofia was walking and not in the carriage? 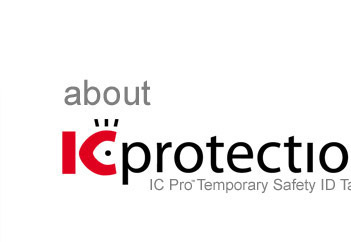 Thus, IC Protection™ was created. I hired a Patent Attorney immediately and did my own search and found that Mr. Dominguez had already filed for the similar Patent idea that I had. With the Patent Laws being very strict, we decided to join forces and I (Walter Mazzota) would take control of the daily business obligations. On October 12, 2010, we were issued a Utility Patent #7810844. This is the real deal. We are the first and only company in the industry to have this idea patented. To use this method of child identification you will have to be licenced through IC Protection™. We are not stopping here. We have filed with the United Stated Patent Trade Organization (USPTO) a Continuation in Part (CIP); this will allow us to patent several other exciting features to our existing patent.